The Conservative Party, led by Andrew Scheer, has opened up the nomination process in held ridings. Challengers to sitting MPs for nominations must file their applications with the party by Dec. 15. Nomination contests in held ridings opened up on Nov. 1, and challengers must file their applications to the party by Dec. 15. If a challenger intends to run against an incumbent Conservative MP, the challenger needs to submit a petition supporting their candidacy with at least 50 signatures from existing riding association members by 5 p.m., Friday, Dec. 15. With new nomination rules in place that some describe as “advantageous” to incumbent Conservative MPs, the federal party has opened up nominations in held ridings, but Conservatives deny the charge that they are favouring MPs in the 2019 nomination process. The nominations in the Conservative-held ridings opened up on Nov. 1 under the new rules finalized by the Conservative Party’s national council in late October. These nominations are open in 92 ridings where there has not been a byelection held in this Parliament. In 2015, Conservatives won 99 of the 338 seats, but seven seats became vacant for a variety of reasons since then. Conservatives MPs who were elected in byelections since 2015 are exempted from nomination challenges for the 2019 election. According to the new rules, if a challenger intends to run against an incumbent Conservative MP, the challenger needs to submit a petition supporting their candidacy with at least 50 signatures from existing riding association members by 5 p.m., Friday, Dec. 15. Also, the challenger will be interviewed by the local Candidate Nomination Committee, consisting of three members from the local riding association executive, two “members at large” of the riding association, and either a representative of the executive director of the national party, or the executive director. If a majority of the Candidate Nomination Committee decides to reject the challenger’s application, they can make the recommendation to the National Candidate Selection Committee, which can accept or reject the recommendation. If a challenger’s application is rejected for nomination, the party may not necessarily give the candidate the reason why his or her application has been denied. “Why are we beginning the nomination process now? Simple: We need to be ready,” Mr. Lamb wrote in an email on Nov. 1. Since 2015, seven Conservative-held seats have become vacant. Late Alberta Conservative MP Jim Hillyer’s (Medicine Hat-Cardston-Warner, Alta.) seat became vacant in October of last year because he died of heart attack. And six Conservatives resigned from their seats to pursue other opportunities, including former prime minister Stephen Harper (Calgary Heritage, Alta. ), Jason Kenney (Calgary Midnaporte, Alta. ), Rona Ambrose (Sturgeon River-Parkland, Alta. ), Denis Lebel (Lac-Saint-Jean, Que. ), Dianne Watts (South Surrey-White Rock, B.C. ), and Gerry Ritz (Battlefords-Lloydminster, Sask.). Mr. Hann told The Hill Times that the party has not decided yet when the nominations in unheld ridings will be opened up. 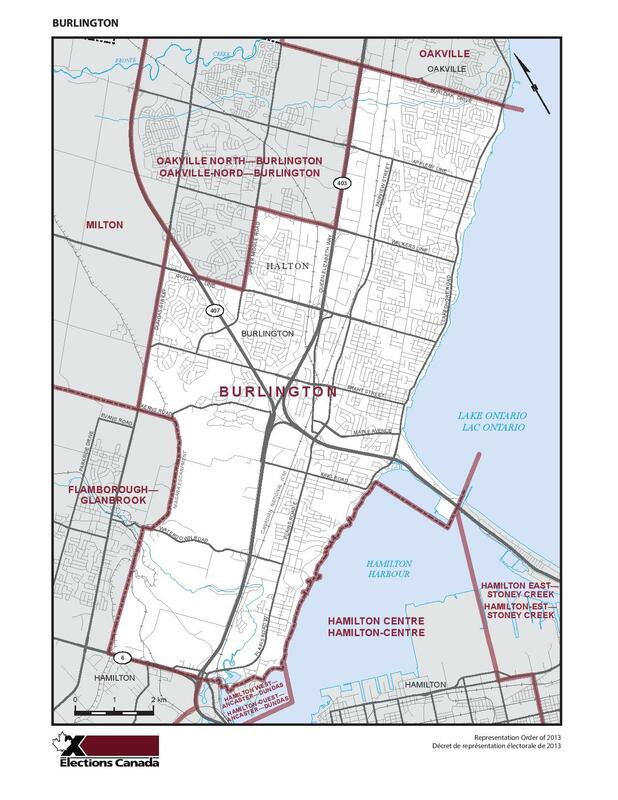 Burlington is not a ‘held riding’ … but we intend to make it one again in 2019!